A&E’s docu series “Born This Way” receives the Emmy! Hollywood is talking about it — this weekend, for the first time ever, a series starring a cast with disabilities has won an Emmy Award. “Born This Way,” which is in its second season on A&E, won for Outstanding Unstructured Reality Series beating out five other series including previous winners Deadliest Catch and Intervention. 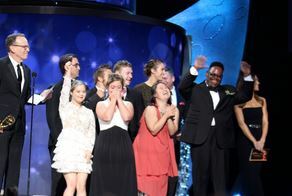 Having proudly served as series consultant on both Season 1 and Season 2, New Horizons congratulates the cast of “Born this Way,” Bunim/Murray Productions and A&E on receiving this ground breaking Emmy Award for their amazing ground breaking show! 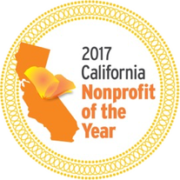 New Horizons has previously honored both Jon Murray of Bunim/Murray and A&E for their commitment to bringing honest portrayals of people with special needs and their families to the television viewing audience. For this incredible team of talented people we are confident that more such honors and awards are in their future. 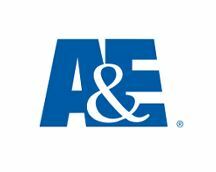 To see this great show, tune into A&E every Tuesday at 10pm/9pm Central. Click here to read more about their exciting night!